When you’re thinking of the perfect place to call home, Applewood Village is it – a lovely rental community nestled on the outskirts of downtown Calgary, where the beautiful, expansive Applewood Park is right next door, with a baseball diamond and beautiful bike trails to explore. Even better, shopping centres with groceries, housewares and everything in between are close at hand. Go for an early morning run or stroll, enjoy a game of catch, or head downtown in less than ten minutes on the speedy CTrain. Your neighbourhood in the city is just the beginning of all this community has to offer. Prices shown are best available, but may be limited to features, finishes, floorplan, availability and occupancy date. Prices shown reflect the average cost per room based on the number of rooms in a specific suite. The cost per room is based on occupancy equal to the number of rooms. Room rates may vary based on location in suite and square footage. These prices are subject to change without notice. Please speak to your Leasing Consultant or contact the Rental Information Line at 587-441-0758 for more details. Errors & Omissions excepted. Enjoy a spacious one or two bedroom rental apartment with everything you need to call it home, including stylish stainless steel appliances, renovated floors and counters, and the perfect view from your private balcony. These Calgary apartments have an abundance of convenient stores and restaurants nearby. For groceries there’s Real Canadian Superstore, M&M Food Market, T&T Supermarket and Freestone Produce. Popular restaurants like Edo Japan, Old Spaghetti Factory, Brown’s Socialhouse and Mucho Burrito Fresh Mexican Grill are all good choices, and cafés such as Tim Hortons, Sparks Café, The Coffee Couch, Tasse Bakery and The Coffee Connection are all nearby. You can also have a fun night out at The Club, Jimmy’s Night Club, Static Ultra Lounge or Diablo’s Bar & Grill. The Peter Lougheed Centre, University of Calgary Sunridge Teaching Clinic, Marlborough Medical Clinic and Memorial Walk-In Clinic all offer nearby healthcare, and Bob Edwards School, Marlborough School, Forest Lawn High School and Academy of Learning are close by too. Good shopping can be done at Walmart Calgary Supercentre, Pacific Place Mall or Home Depot. From Applewood Village you can get to the Calgary centre in under half an hour, and walking for everyday errands is ideal for a healthy lifestyle. This location is right near main roads that allow you to drive downtown quickly, and if you prefer cycling there are plenty of bike paths for fresh air and exercise. 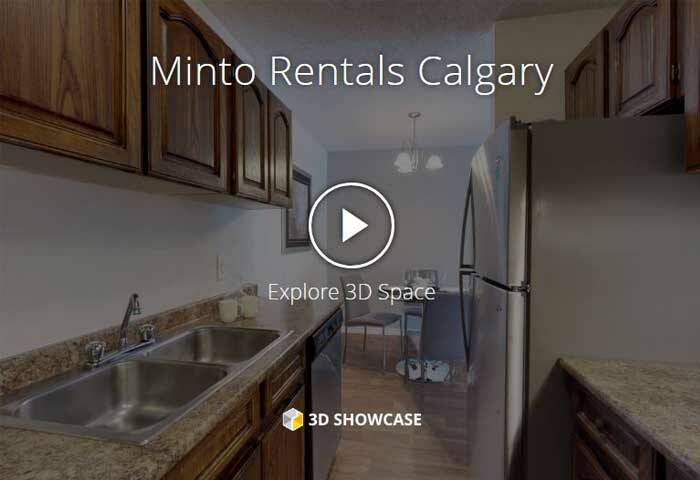 Traveling around Calgary from these apartment rentals is easy with its many transits stops. Getting to the centre of Calgary is only 25 minutes away. With everything you’ll find in the immediate vicinity it’s easy to enjoy the benefits of walking as a lifestyle from this rental location. Biking is a favourite mode of transportation for almost everyone who lives here with all the bike paths. Cycle to downtown Calgary in only 32 minutes. Driving from these rental apartments to reach other parts of Calgary is easy with main roadways located minutes away. Drive to downtown Calgary in 10 minutes.